With todays rising electricity costs, more people are choosing to generate their own electricity. 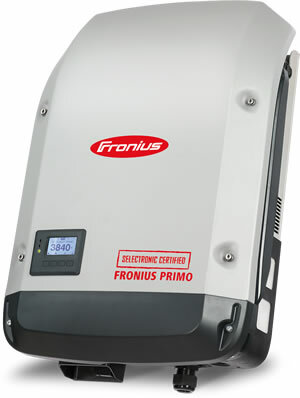 By installing a Selectronic Certified inverter as part of your grid-tie solar system you have the reliability and performance of a European inverter with the ability to upgrade at a later time to a fully functional Solar Hybrid or Grid Support power system. System sizes range from 3kW to 20kW single phase (with up to 30kW of PV solar), 6kW to 40kW split phase (with up to 60kW of PV solar) and 9kW to 60kW three phase (with up to 90kW of PV solar).